Finance Minister Abul Maal Abdul Muhith will announce the national budget for the fiscal year 2018-19 (FY19) at the Jatiya Sangsad at 12:30 pm on Thursday. This will be the country’s 47th budget and the 19th of the Awami League government while the 12th for Muhith. Muhith will be the first finance minister who is placing the national budget for the 10th time in a row since 2009. 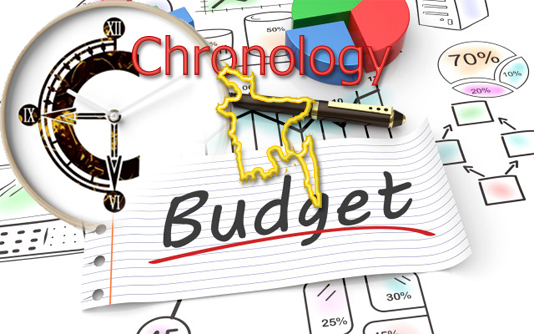 Following is the chronology of Bangladesh budget since independence in 1971. The amount is in crore.